Use PAC Contour and blend like a dream. It has been specifically designed to accommodate every skin tone. From the lightest of light, To the deepest of deep, They have your shade. Choose from a complete line-up of 21 unique shades. The yellow tint is great for highlighting & brightening the highest points of your face. They come in Matte and slight shimmer to reflect light of in an intelligent manner to make you look perfect! Matte contour powders are great for chiselling out some dimension to your face. Available for warm and cool undertones. Explore the entire range of Contour available on Nykaa. 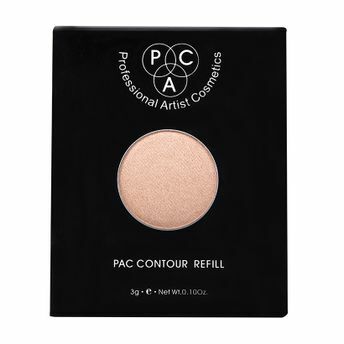 Shop more PAC products here.You can browse through the complete world of PAC Contour .Alternatively, you can also find many more products from the PAC Contour (Refill Pan) range.